Most people will agree, the Areca Palm Tree (Chrysalidocarpus Lutescens) is a great palm tree for indoors. But, they also have multiple uses for outdoor applications. One such example is using the Areca palm as a natural privacy wall or privacy fence. The Areca Palm tree is from the islands of Madagascar. The Areca palm shares similar traits as the bamboo palm; they have a high tendency to clump next to each other and grow upwards fairly fast. The leaves of the Areca Palm arch gracefully with deep green to yellowish green colors. The Areca Palm loves any type of soil but must have good drainage. 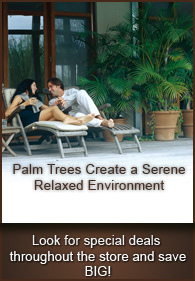 The Areca palm is also great for the pool area, patio, or even a Zen garden oasis. Very low and easy maintenance needed for the Areca palm. The Areca doesn't require a lot of watering, but can be impacted with over watering. Although, the Areca palm requires little watering, it can't be susceptible to long drought periods. 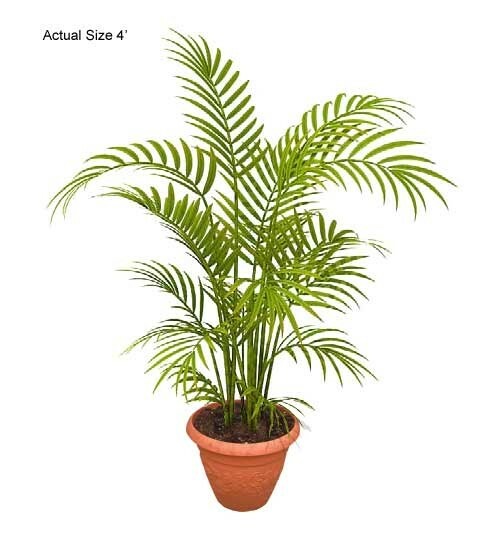 The Areca Palm tree makes a wonderful edition to your home or office.